The hardness of opal is 5.5 to 6.5 so thought must be given to its durability if you are considering an opal engagement ring. Opal's colour play emanates a very special attraction and fascination. But what causes this phenomenon? This question was impossible to answer for a very long time. Only when in the 1960s a team of Australian scientists analysed Opals with an electron microscope, it was discovered that small spheres from silica gel caused interference and refraction manifestations, which are responsible for the fantastic play of colours. The spheres, which are arranged in more or less compact structures, succeed in dissecting the light on its passage through the gemstone. Australia is the classical Opal country and today is the worldwide most important supplier of Fine Opals. Almost 95 per cent of all Opals come from Australian mines. The remaining five per cent are mined in Mexico, and in Brazil's north, also in the US states of Idaho and Nevada, but recently the stones have also been found in Ethiopia and in the West African country of Mali. In order to best bring out the play of colour in Opal, the stones are cut and polished to round or oval cabochons, or any other softly domed shape, depending on the raw material. Only the best qualities of Opal, however, are suited to faceting. The Opal cutter will first of all carefully remove any impurities using a diamond cutting wheel, before working out the rough basic shape. This comes the fine cutting, the finishing with sandpaper and then the final polishing with a wet leather wheel. Due to the differing percentage of water, Opals may easily become brittle. They always contain water - usually between 2 and 6 per cent, but sometimes even more. 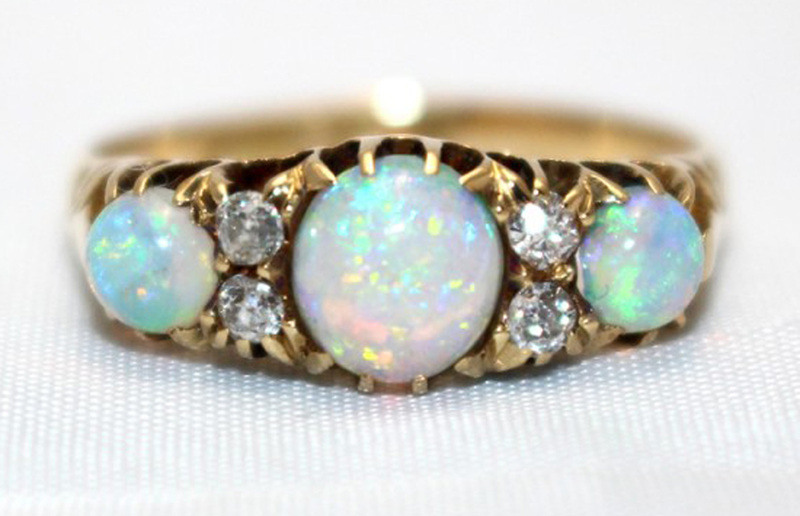 Thus if stored too dry or exposed to heat over a longer period of time, Opals will show fissures and the play of colour will become paler. 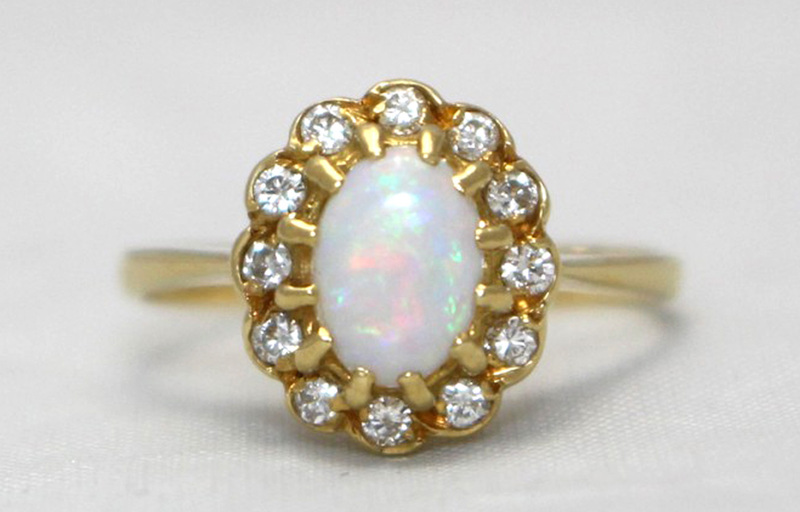 Therefore, Opal jewellery should be worn as often as possible, for then the gemstone will receive the needed humidity from the air and from the skin of its wearer. 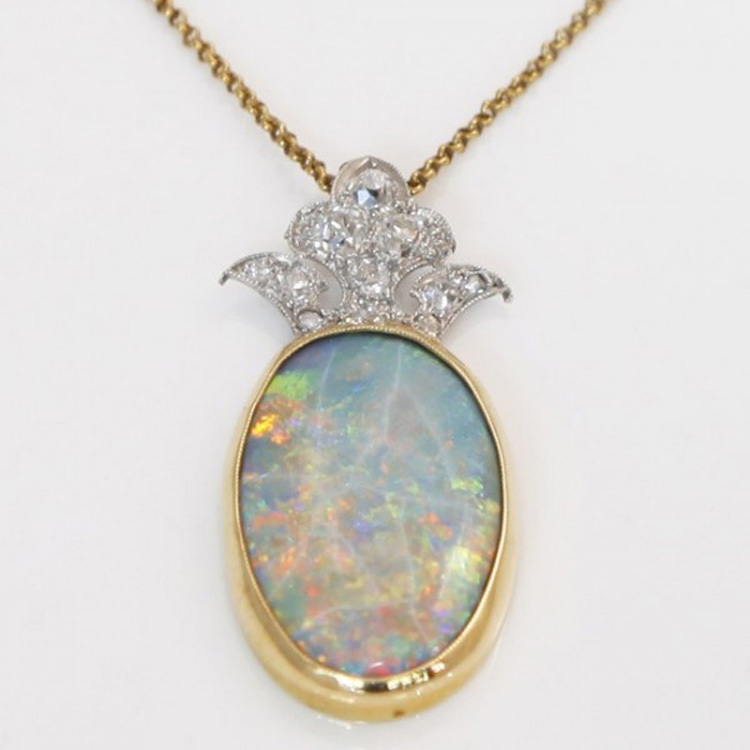 Click on the link below to see our gorgeous collection of opals and please don't hesitate to contact us for more information.